Preheat oven to 350 degrees F. Grease a large cookie sheet. In a small bowl, stir together 2 tablespoons granulated sugar, cinnamon, ginger, nutmeg and cardamom until well combined. In a medium sized mixing bowl, sift together flour, baking soda and salt. additional 2/3 cup granulated sugar, honey and vanilla paste until creamy, about 2 minutes. Beat in egg until combined. Reduce mixer speed to low and beat in flour mixture until combined. Chill dough in the refrigerator for 20 minutes, or until you can roll it into balls. Roll the cookie dough into balls and roll the balls into spice mixture to coat completely. Place on sheet pan and flatten with hands to about 1/4-inch thickness. Bake at 350 degrees F for 9-12 minutes or until golden and puffed. Cool for 2 minutes before transferring to wire racks to cool. 54 comments on "Chai Snickerdoodles"
How do you keep so slim when you bake all these delicious goodies? Another lovely creation of yours. Mmmm! Those sound delicious. I love the idea of cream cheese in the dough. Genius! I too inhale 4 espressos in one go! I need to have a coffee with you one day and enjoy some of these snickerdoodles! I love the idea of the chai tea in these cookies...mmm!! Ditto to Lauren - I love the addition of cream cheese in cookie dough! It adds a richness and rounds out the sweetness in sugary treats. I may make these, I haven't made biscuits in a while. I am making snickerdoodles today - thanks for the new twist on a fav recipe. Just read your posts on the Food Network Recipe Showdown!! congrats. Loved your recipe and good luck in the future. These look good. Snickerdoodles are a favorite with around here. I have to admit that I've had chai tea but never a chai tea latte. We don't have a coffee shop around here (our nearest Starbucks is an hour away) When I get to a coffee shop, I always order "real" coffee. I'm anxious to try these. I love all things chai, and I bet these would be a great way to warm up on a cold winter day! The cookies look amazing! Great creation! You're such a celebrity! I love snickerdoodles and adding chai to them sounds wonderful. I will be making these next week. My husband might even call you to thank you for this recipe: about his two favorite things are chai lattes and snickerdoodles. i love chai, too, and I hate when places make it too sweet, which they tend to do ... i usually stick to the coffee drinks myself. i would love to dunk one of these cookies into my coffee right now! These cookies sound fantastic Emily. I think that Chai is my favourite and at Starbucks I always have Light Chai Frappucino..even in the dead of winter. You had me at "chai," my dear. These look absolutely fabulous! I LOVE CHAI TEA!!! I am definitely going to try this recipe!! I loved your piece that your local news did on you too. So cute! The other exception is decadent white hot chocolates, k? I love the texture of the cinnamon and sugary outside. How great! I'd never heard of chai snickerdoodles but I'm sure I'd love them. I'm getting back into tea these days - just had vanilla chai yesterday. these cookies look amazing. I ve never had chai tea since here I don t find it but I m really eager to try it. I ll find a recipe for it. sounds yummy. These cookies will be a nice accompaniment. Love the clip, thanks for the link. Cool flour sifter-pretty old school. I will try these cookies,all 2 dozen of them. Oh I have never heard of these, but they look amazing! I love chai tea! Now...remindme never to run into you in a coffee house with my smoothie. There are a couple of seriously great images here. By the way, I grew up in ``chai'' country, in Darjeeling, where the world's most famous tea gardens are situated. I've never had a chai snickerdoodle before - tragedy!! I want one now. I love Chai Lattes . . . they taste like Christmas. But I only get them when I'm at this little shop in Louisville Kentucky. I was with a college friend visiting (shes from there) and she took me to her favorite place and insisted I try one and it was soo good. Anyways- the afternoon was amazing and I just feel that anywhere else won't be as magical. I might have to try these though!! Sound wonderful! I think I may spend my Sunday morning baking some of them. I am an expresso junkie! There seems to be a lot of us out there. They sound scrumptious!! 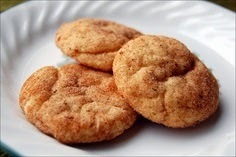 I really have to try these since I have wanted to make snickerdoodles for the longest time and still haven't yet. Okay, I have never heard of Vanilla paste, does it bake better than Vanilla extract, and if so where can you get it? Great combo! Can't wait to try these! i love snickerdoodles and using cream cheese is great! I've never had snickerdoodles, and I'm suddenly feeling like everyone's hick cousin :( I'm a firm believer in hiding the goodies from the family! ooooooooh what a delicious combination! but even though i love cinnamon, for some weird reason i can't stand chai tea lattes! I LOVED your interview on the news. Thanks for sharing that with us. AND that great recipe. the perfect afternoon snack has now become hot chai with chai snickerdoodles. seriously. i drool. Beautiful cookies and love the photos! These snickerdoodles look amazing! I've never had Chai anything (but my sister loves it). I'm more of a half-caf nonfat latte type myself, but I may have to branch out! Your hair is fabulous by the way! Spiced cookies are perfect for the cold weather. These with an actual chai latter would make me feel so much better about the fact that we are into the single digit degrees here! Ohhh these will be a must try...chai is among one of my favorite things! mmmm. you know i love a snickerdoodle! these sound delicious. i love the cardamom. off to watch your news segment. you're such a super star!! 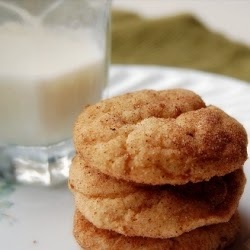 I love the combination of chai spices in this snickerdoodle. I am a lover of chai. Actually I love all tea, but chai is a favorite. Awesome recipe. Okay, so I'm a little slow, and just figured out it WAS you on the showdown a few weeks ago. I actually kept thinking in the back of my mind that it was the gal from the sugar plum blog just becuase I knew the name Emilie and from OK, but kept forgetting to check. Now, here I am a little late and it IS you! Congrats for making it on the show and sorry you didn't win. I don't like bleu cheese, so I would not have picked the winning one. I thought your dish looked great! 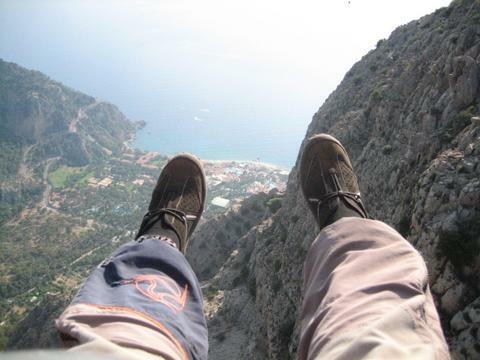 So awesome you got to do that! 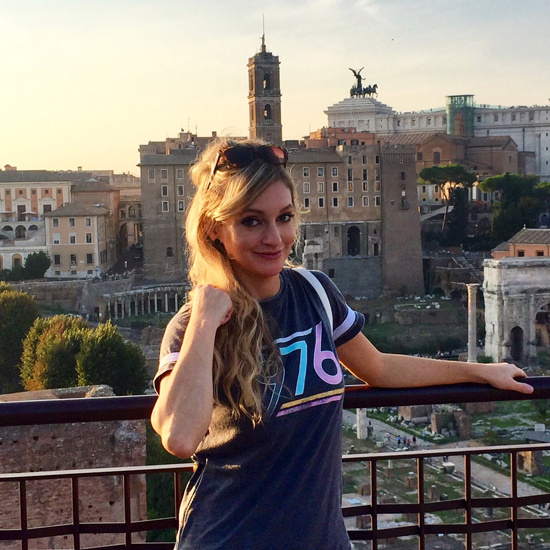 I'm such a crazy, busy mom of four, trying to bake and blog and not having as much time as I'd like to stop by all the blogs I'd like, so I'd missed yours for a few weeks or so. But I do LOVE your blog. Such great yummy food--and writing. Holy cow, that turtle cake looks to die for! Keep on keeping on for sure. Congrats! You wouldn't like coffee with me. I don't like coffee flavouring. Not in the traditional sense or in desserts. So, it's almost always hot chocolate with me. I like the recipe. Do you think using half whole wheat and half all purpose flour would work? I also LOVE chai latte! An indian friend introduced me to it and I've been hooked ever since! I think I would really enjoy the snickerdoodles and I had actually never seen a recipe for them. The video was cool to watch, your mom looks so young! I love tea, but it has to be served the British way, a good strong cup of PG Tips or Ringtons tea, with a dash of milk. Chai latte's, definitely not my cup of tea. The cookies look nice though. i am all over these cookies like white on rice. 1 thing i love + another thing i love? perfection. also, snickerdoodle is too much fun to say. Wow! Amazing little spicy confections from heaven! Double batch gone in 30 minutes!